The ITZBEEN Baby Care Timer is the first multi purpose tool designed to help new parents remember the basic details of baby care. 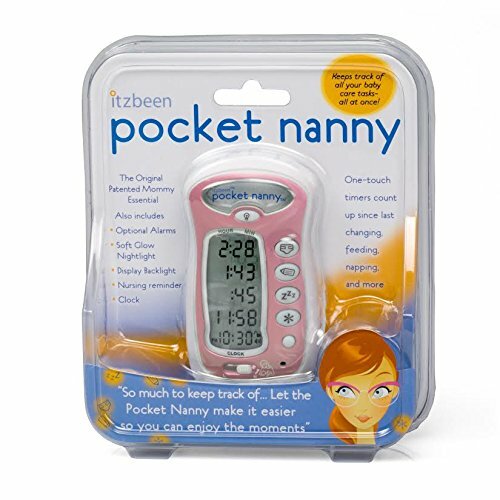 New parents often ask, “How long ago did I feed her?”, or “Honey, how long ago did you change his diaper?” The ITZBEEN has four timers that count up with the touch of a button. If the light is left on, it will automatically turn off after 7 minutes. No more charts and journals. One look at the ITZBEEN and you will always know how long it’s been. The ITZBEEN also allows you to set an optional reminder alarm for each of the timers, for example: change the diaper every 2 hours, or give medication every 4 hours. If the time limit is reached, the appropriate button will light up, and an optional alarm will briefly beep. 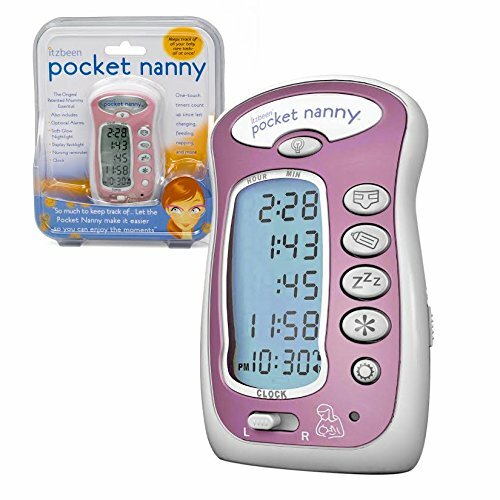 The ITZBEEN has several other helpful features: Nursing Reminder Switch – easily reminds mom which side baby nursed from last, Soft glow Nightlight – to help parents find their way in the dark without waking the baby (the nightlight automatically goes off after 7 minutes), Backlit Display – so parents can read the times and the clock in the dark, and a Back Clip – makes the ITZBEEN Baby Care Timer totally portable and allows for hands free use of the Nightlight.